24th match of IPL 2018 will be played between Royal Challengers Bangalore and Chennai Super Kings in M Chinnaswamy Stadium, Bengluru at 8pm on date 25 April 2018. Today's match will be very tough, struggling and full of interest. Quinton de Kock, Manan Vohra, Virat Kohli(c), AB de Villiers, Cory Anderson, Mandeep Singh, Washington Sunder, Chris Woakes, Umesh Yadav, Mohammed Siraj and Yajuwendra Chahal. MS Dhoni vs RCB 608 runs in 22 inning Avg 32 Sr 135.71. Virat Kohli will become 3rd Indian and 8th player of the world who played 100th match in T20 format. Virat kohli and Quinton de Kock started the inning. Virat Kohli lost his wicket .S Thakur taken this wicket. Quinton de Kock and AB de Villiars was on fire smashed several sixes. Quinton de Kock scored 53 of 37 in which he smashed 1 4s and 4 6s. AB de Villiars 68 of 30 in which he smashed 2 4s and 8 6s. Mandeep Singh scored 32 of 17 delivery in which he smashed 1 4s and 3 6s, After 2nd wicket CSK bowlers done great job. Thakur , Tahir and Brovo got 2-2 wicket. RCB scored 205/8 in 20 overs. 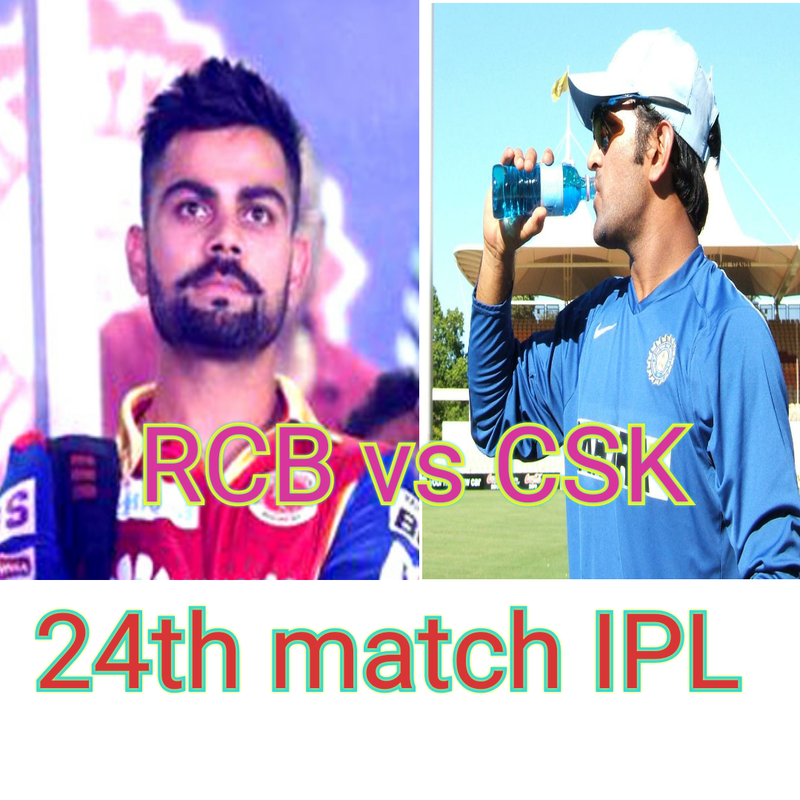 Ambati Raydu and Suresh Raina started the inning of CSK to chase the wining target 206 runs.New player Pawan Negi of of RCB got 1st wicket of Suresh Raina, after that Ambati Raydu[82of 53 , 3 4s and 8 6s] and MS Dhoni[70 of 34, 1 4s and 7 6s] played amazing blasting inning and reached CSK to win.